It can happen in an instant. You see a blur, an object suddenly ahead of you on the road. There’s no time to avoid it. You’ve hit a deer. It happens to more than a million of us every year in the U.S. While there’s not much you can do to prevent it, there are some basic steps every driver needs to know to do if this startling situation happens to them. 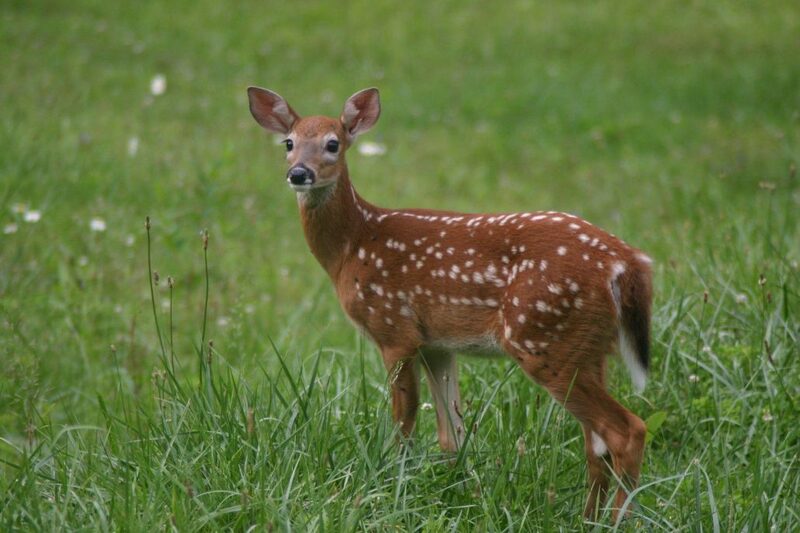 The average collision with a deer ends up costing each driver on average about $3000 – $4000. But some collisions can end up costing as much as $10,000 or higher. When am I at the greatest risk for hitting a deer? Watch out especially on your way to the pumpkin patch or out to Thanksgiving dinner. During the fall and early winter is when you face your biggest risk for hitting a deer. Dawn and dusk are the two times of day when deer are most active and most likely to run out on the road. After I hit a deer, what do I do? Pull your vehicle off to the side of the road or other safe place. Be sure it’s at enough of a distance from other drivers. Chances are this accident happened at dawn or dusk, when the light isn’t great to see everything around you. Call the police. If the collision resulted in injury or damage to your vehicle or other property, you may need to fill out an official report. This report may be helpful for your insurance claim. Be sure you’re watching the road and your surroundings so that you are staying safe while you are taking these photos. Is the animal still alive? Steer clear of it. An injured and frightened deer could cause you damage with its legs and hooves. Take a pause before pulling back out on the road. Your car might not actually be safe to drive. Look for broken lights, leaking fluid, tire damage or other safety hazards. If anything seems off making it not safe to drive, call us for a tow. The Collision Center of Andover provides 24/7 quick, full-service towing to Wichita and Andover, towing any passenger vehicle to any destination or the shop of your choice. Call (316) 719-2100. Contact your auto insurance agent so they can start work immediately on your claim. Deer collision claims are usually covered under comprehensive insurance, not collision. Or to make things easier, when you call our shop just ask for Insurance Claims Assistance and we’ll work to help handle the process. Animal collisions of any kind are unfortunate. The key to minimizing the damage is to follow the basic steps for your vehicle and others around you to make sure you aren’t put into any more danger. The best things you can do in advance is to check your insurance and see if you’re properly covered if you were to hit a deer. Also be sure to have a trusted repair shop ready to call if an accident happens to you. Better yet, find a repair shop that also will handle your towing! Collision Center of Andover offers high-quality, reliable repair and towing service. Check out our before-and-after examples to see how we can completely fix your dented car from a deer collision or other accident. From collision repair, paintless dent repair to mechanical repairs and more, count on the repair experts to get your vehicle running and back in shape. https://collisioncenterofandover.com/wp-content/uploads/2018/10/Deer_morguefile.jpg 1126 1690 admin https://collisioncenterofandover.com/wp-content/uploads/2013/04/ccoa_logo_340x1561.png admin2018-10-25 15:33:282019-01-24 21:15:45Oh deer! What happens AFTER I hit a deer?